As steward to Lady Eleanor’s father, Will knows the desire he burns with is futile—but he’ll still wager he can claim Eleanor’s kiss by midwinter. Yet when the tide turns Will realizes vulnerable Eleanor is far too precious to gamble with. Can he win his lady before it’s too late? This is another delightfully fun, high octane and emotionally deep book from Elisabeth Hobbes, and one that I hugely enjoyed. Eleanor Payton after the death of her husband has now decided on living the rest of her life in solitude, she has always vied for more independence and now she has it, she wants to prove that she doesn’t need a man in her life to take charge. Eleanor knows that her peaceful, quiet – if lonely existence – will one-day end, if her parents have their way. Even though she is a widow and living on her own mean’s, they still meddle into her life at every opportunity and they have made it abundantly clear that she must re-marry. Even though she is now in a horrendous position Eleanor being the tough cookie that she is has vowed that no matter who her family push in her direction she will not yield to them. That is until she meets her father’s new steward. When she first meets William Rudhale, he first saves her life and being the rogue that he is demands a kiss for payment she thinks him nothing but a scoundrel. A handsome one at that, who as irritating and infuriating as he is, she can’t stop herself from thinking about him. Eleanor is a spirited young woman, she is stubborn and highly picky but underneath all that gutsy bravado lies a young woman who just wants to be loved. She wants the thing that alludes so many other’s she wants a true marriage where she can love and be loved and be happy. ‘You can let go of me now,’ she muttered. Well, what can I say about Will? He is such a great character. Strong – not just in body but in body but in mind too, canny and rough around the edges. He is grafter, he knows the concept of hard work. Because of his knowledge, his determination to prove himself and his wit and boyish – if sometimes serious – charm he has made a name for himself, his had got a sold intelligent head on his shoulders, he has pulled himself up from practically nothing and slogged hard to make something of himself and all that grit and stamina has worked as he is now head a steward at his young age, plus various little off shoots in wine that not just bring him extra income but greater respect from people who would normally look down their noses at him. This man is such a keeper, he may have a brusque rudeness about him at times, but that just adds to his appeal. Hobbes has got Will spot on, he is the thing that keeps me glued to the book. Will think’s that the wager he accepts to steal a kiss from Eleanor before midwinter is going to be a piece of cake, after all he has seen the way she blushes in his presence and he knows how she watch’s him how her eyes have more than once taken in every aspect of his body. So, he gladly takes on the wager – after all you can never have too many sheep.? But as he begins to woo her, he finds that she is not at all what she said seems. She isn’t the thick-skinned, fiery woman he first thought her to be. She is vulnerable and looks at life and him with eyes which are filled with suspicion and something else…fear! ‘Why did you come?’ she asked instead. …She drew the dagger from its scabbard and brandished it aloft. ‘I won’t hesitate to use this if I need to.’ William stopped laughing abruptly and his face became solemn. As a couple they go through so many emotions, from furious and irritated to scared and distrustful. Then there are the sneaky glances with heated eyes the lustful stares and the little touches, the atmosphere crackles around them. The way that they move from lady and steward to a lusty and caring couple is very beautiful, the slow burning only makes them even more alluring and when they do give in – even with a small touch – it is worth the wait. They are a cute couple. The only thing I do have to say against it is, the first chapter is a bit of a slow burner for me, up until we meet Will – who for me is the driving force of this book. Don’t get me wrong there is absolutely nothing wrong with the book before we are introduced the Will as Hobbes does a great job at building up Eleanor’s past for you to understand her story and her character. I did really enjoy the story itself, I know that Hobbes says this is more of a Christmas book and I can really see that, it isn’t as dark or heavy as the other books I have read from her – which is what I have come to expect from medieval romance, and it’s a pleasant change. It’s different but in an entirely good way. It’s a great read and as we’ve to come to expect from Hobbes, she sprinkles her unique charm across it and she has created an alluring and thoughtful story. 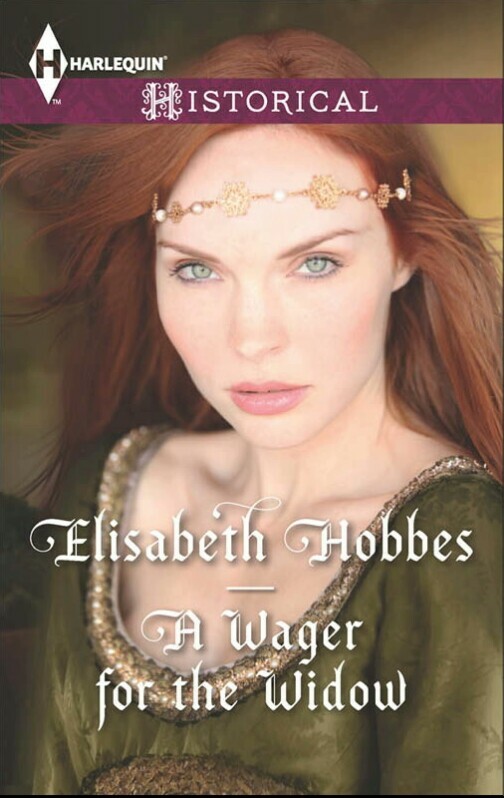 The Wager for the Widow is perfect for those starting out in medieval romance and those who have just come across Elisabeth Hobbes, it’s a fresh and classy romance with that medieval edgy-ness that I love about this era, as always with this author, highly recommended. Wager for the Widow is put now and can be found in all retail outlets including Amazon. 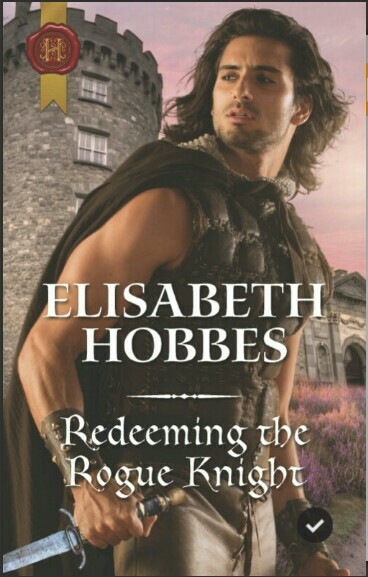 This entry was posted in Complimentary copy, Historical Romance, Medieval Romance, Mills and Boon/Harlequin, Reviews and tagged Complimentary copy, Elisabeth Hobbes, Harlequin, Historical Romance, Medieval Romance, Mills and Boon, Review. Roger Danby is not just a Knight but also a bit of a spy, he is on a mission to take a secret missive to the King, only there are men lurking in the shadows waiting to do everything in their power to make sure he doesn’t deliver the message. While on route he and his squire; Thomas Carew have to make a quick get away from the house they were staying at, while on route to Cheshire. Thomas was caught in a compromising situation with the Lord’s daughter which resulted in both Thomas and Roger on the run. While fleeing Roger gets shot with an arrow and the only safe place for him is the little inn that Thomas’ father owns. On arrival Thomas and a severely wounded Roger come face to face with Thomas’ sister Lucy, brandishing a poker. Lucy can’t believe her eyes, when opening the front door to see her brother – who has been gone from her life for years – with a huge and some what menacing looking man who has an arrow stick out of his shoulder. She doesn’t trust Roger in the least but she can’t turn him or her brother away no matter what they may have done, so she looks after him, tending to his every needs. Lucy is in desperate need, she has got debt’s that she can’t pay off because the last batch of her own brewed ale has turned sour and the inn that she has been looking after since her father’s death is in deep trouble. So, the last thing she wants is a wounded man to care for – especially if he is a fugitive, like she thinks him to be. But something about this ox of a man intrigues her. They both distrust the other, yet they both are seriously drawn to each other. Can they get past each of their personal barriers be able to trust and love? I hadn’t read the previous book where we were first introduced to Roger – but because it is so brilliantly written, that didn’t restrict my reading and understanding of the story and characters. I read it as a stand alone, the story does very much revolve around Roger and Lucy so it’s an easy and highly enjoyable read. Roger is well and truly a wolf, a dominant leader of the pack he is a masculine and insatiable man, who is very self-assured and über confident – even when wounded, he still ultra charming, if on the verge of egotistical. At first you think he is all out for fame and glory as that is the reason he took on this job. But as you get to know him as a man and not just a Knight, you start to really see that there is some real deep-seated emotions lurking beneath the surface. Roger is very much the black sheep of his family, but I genuinely do think that he has the heart of a good, honourable and loyal man. Roger is manly strength incarnate, brutal, commanding and sinfully handsome in a very rough around the edges sort of way. I find him compelling and intriguing if, a little arrogant and he demand’s attention with his unique brusque charm. Lucy has an awful lot on her shoulders, she is practically ostracized by her village due to the fact that she is a single, unwed mother. She is raising her son, brewing the ale and running the inn after the death of her father and to protect her son and her livelihood she will do just about anything – that includes tying Roger to the bed while wielding a red-hot poker. ‘Should I get the poker?’ Lucy asked. He grunted a laugh. ‘You’re fixated on the thing, aren’t you? She takes everything in her stride she is resilient and resourceful, but beneath that strong-willed independent, exterior there is a nervous and worried, scared young woman who has got too much to lose if her secrets are exposed. She is scared for her son and herself, she is worried about her ale spoiling and that her debt’s are piling up and more importantly she is nervous about this stranger, with his gruff countenance, mesmerizing eyes and heavenly sculptured chest. This is glorious, the detail of everything about the era is breath-taking, Hobbes has created this superb and compelling story and she has backed it up with intricately detailed historic fact. This is what I really like about Hobbes, her writing is raw and real. It is the language in particular that the characters use that I really like, it is very normal and of the age. There isn’t any dithering about with polite small talk, it’s always straight to the point and like Roger himself hugely blunt, and I absolutely love it. ‘Go! You don’t want to miss your chance.’ ‘Will you give me a favour to wear, my lady?’ Lucy raised her brows. She reached behind her head, pulled the green ribbon from her hair and pressed it into his hand. Before he could thank her, Lucy reached on her tiptoes and brushed her lips against his…. This is like walking in the characters foot steps you get a real sense of the period, Hobbes has yet again shown just what a talented author she is. It is sharp and precise, from the language right down to details of the joust. It’s an highly charged tale of finding love in the most unexpected places, it is thrilling and emotional. Another great read that I cannot recommend enough. 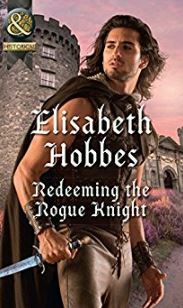 This entry was posted in ARC, Historical Romance, Medieval Romance, Reviews and tagged ARC, Elisabeth Hobbes, Historical Romance, Medieval Romance, Redeeming the Rogue Knight, The Danby Brothers Series. Amelia Mansfield, The Discerning Gentleman’s Guide by Virginia Heath. Choosing a wife is not a task that should be undertaken lightly. Bennett Montague, sixteenth Duke of Aveley, is seeking the perfect bride. He’s narrowed his search to five worthy “Potential”…until the arrival of his aunts companion unravels his carefully laid plan’s. Amelia, is the best heroine that I have come across for, ages, talk about rag’s to riches fairytale, well Cinderella has nothing on this girl. She know’s what’s it like to be not just on the bread line but miles below it, she is a tough cookie and from what she has had to go through in her short life so far it is not surprising, she went to hell and back and yet she still managers to be so sweet and lovely. but she doe’s have her flaws too she is so untrusting of the aristocracy, especially titled men, but that insecurity makes you warm to her the more, I just love the way she bring’s out the real Bennett, she shows him life from another perspective; something that he has never done in his life and because of her he does come in to his own ~ Chicks Rogues and Scandals. A rogue ruined. . . He is the Killer Duke, accused of murdering Mara Lowe on the eve of her wedding. With no memory of that fateful night. Temple has reigned over the darkest of London’s corners for twelve years, wealthy and powerful, but beyond redemption. Until one night, Mara resurfaces, offering the one thing he’s dreamed of. . .absolution. A Lady returned. . .
Mara planned never to come back, but when her brother falls deep into dept at Temples exclusive casino, she has no choice but to offer Temple a trade: she will return to society and reveal the truth. . .that he is no killer. A scandal revealed. . . But the lady – and her past – are more than they seem. It will take every bit of Temple’s strength to resist the pull of this mysterious, maddening woman who seems willing to risk everything. . .even for true love. Twelve years earlier the young William Harrow, heir to the Dukedom met a tantalizing and beautiful girl, a girl with magical odd eyes, he fell in love with her there and then. The next day he woke in his to be step mothers bed, with no memory and in a pool of blood and he was accused of murdering her. After fleeing to London he was rescued by an elusive person named Chase who ran a gambling hell called The Fallen Angel, where he changed from suspected murderer to the towering Temple. Now all those years later Mara Lowe the very women that he was supposed to have murdered turns up, completely and utterly alive and wanting help from the very man who was accused of murdering her all those years ago. ~ Chicks Rogues and Scandals. There was really no other choice for this category, Maiden Lane is by far the best Series out there, Elizabeth Hoyt just keeps spittting out book after book which contain the most amazing plots and charactand. This is one series that I will never tire off. 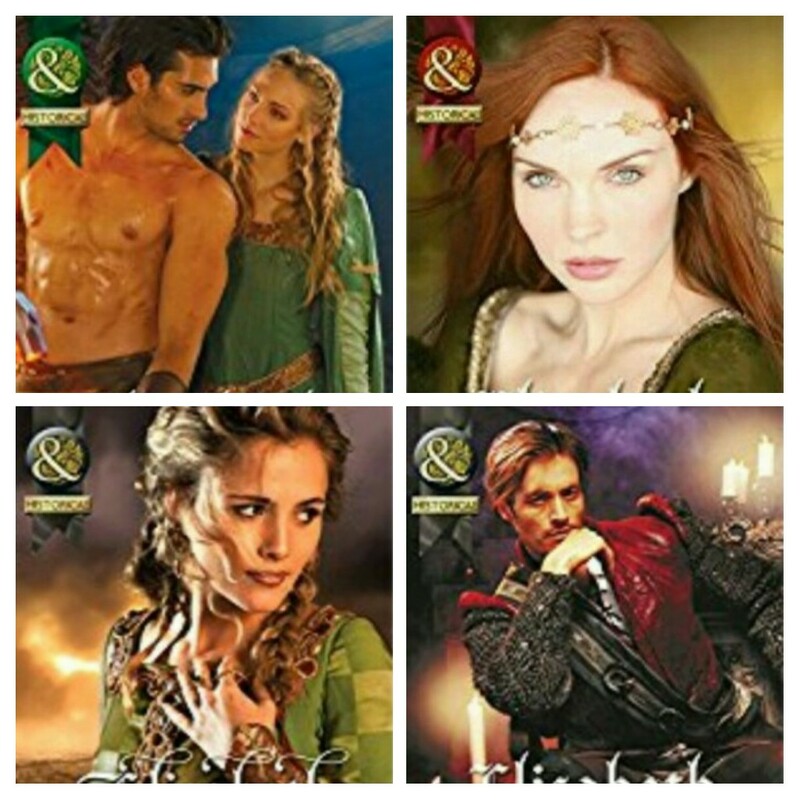 The Maiden Lane Series is just breathtaking no matter which book or character is your favorite, no matter what a person usually read this series has something for all Historical Romance reader’s and by far the best thing that Elizabeth Hoyt has done, I can’t wait for the next one. . . ~ Chicks Rogues and Scandals. The Saxon Outlaws Revenge by Elisabeth Hobbes. This was by far the most difficult decision I had to make, I have read so many brilliant books this year, but this in particular did stick with me. The entirety of this book is just perfection. Abducted by Saxon outlaws, Constance Arnaud comes face to face with Aelric, a Saxon boy she once loved. He’s now her enemy, but Constance must reach out to this rebel and persuade him to save her life as she once saved his. . .
My goodness how much do I like this? I haven’t read a Historical Romance from this period before, for some reason I just never thought about trying a Medieval Romance, how wrong I was. This is just so unbelievably good. The story is incredible Constance and Aelric are on opposites sides Constance is a Norman and Aelric a Saxon, both are supposed to hate each other and yet deep down they are soul mates. This reminds me so much of Tristan and Isolde, which is one of the most romantic stories ever, two love bird’s stuck in the centre of two warring clan’s, separated by who and what they are. ~ Chicks Rogues and Scandals. 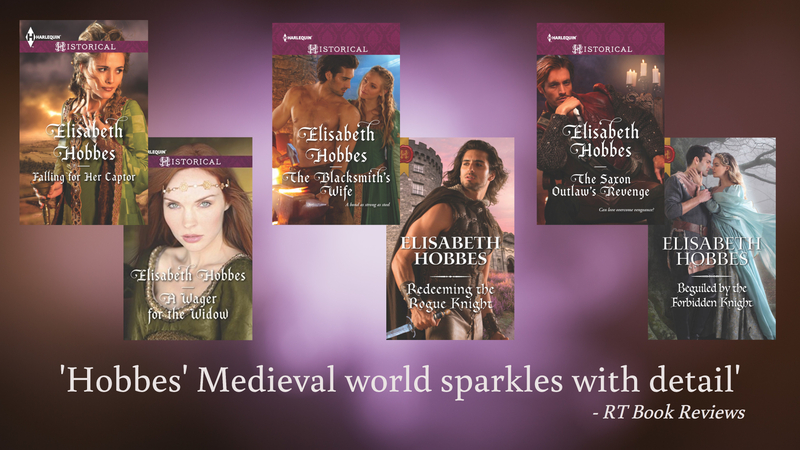 This entry was posted in Historical Romance, Medieval Romance, News and tagged 2016, Best Books, Elisabeth Hobbes, Elizabeth Hoyt, Historical Romance, Lisa Kleypas, Maiden Lane, Rules of Scoundrels, Sarah Maclean, The Ravenel's, Virginia Heath.